In episode 118 we talk about recent comics and the tragedy of telly contrast. 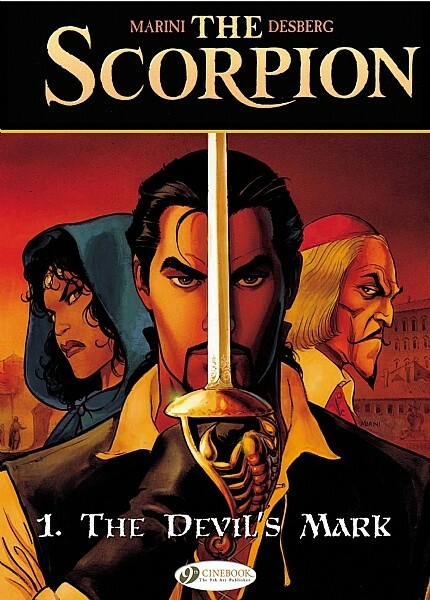 In his spotlight, James talks about The Scorpion Vol 1 by Stephen Desberg & Enrico Marino – buy it here! Outro music by Passage – buy it here! Contribution from Timothy Swann, who pimps new podcast Tim and Max Solve All The Problems with Popular Culture – listen to it here! The article Nick keeps talking about during the news is by Tom Spurgeon at The Comics Reporter – read it here!